This is not your average course; you will not simply watch boring videos while answering general questions. The Mom & Me: Building Stronger Relationships Course and Coaching Program provides you and your daughter the opportunity for building a deeper understanding of each other while emphasizing many of the skills you have taught her along the way. Our program explores the following topics: Self-esteem, Self-worth, Peer Pressure, Parent Expectations, Healthy/Unhealthy Relationships, and Effective Communication Skills. In my over ten years of mentoring, educating, and empowering teens, these have been the key areas of concern for parents regarding their teen daughters. As a professional, educator, and mother of a teen daughter, I'm providing proven strategies throughout the coursework. The program has activities for both mom (or maternal guardian) and daughter, independent learning modules, coaching sessions, and reflection times. This interactive program is unlike any of the other enrichment programs in the market today. The information was developed through research, case studies, and personal/professional experiences. Your daughter will leave our program, better equipped to handle her teen years with a stronger relationship with you, her mother. 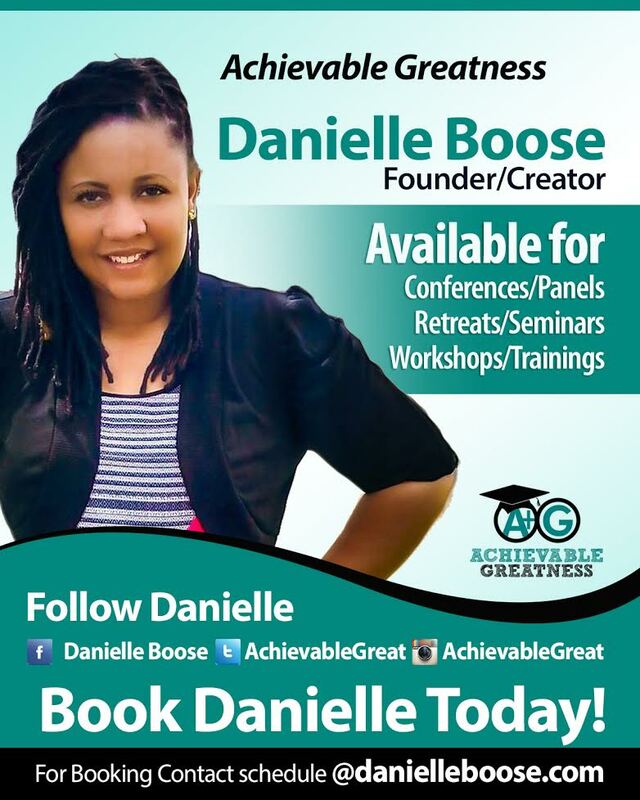 Let’s embark upon a journey to help your teen, ACHIEVE GREATNESS! In the program, you will receive 30 days of online course content, four individual coaching sessions, a digital 50+ page workbook, and other goodies. When does the program begin? Enrollments are year round and you can begin the program at any time. How long will the program take to complete? It is intended to be an independent learning program that takes about thirty days to complete. You and your daughter will work at your own pace. What's included in the cost? The thirty day online course, a 50+ page workbook, and up to four thirty minute coaching sessions. You will also receive some other goodies along the way and upon program completion, an invite to the annual "Mom & Me Retreat". What ages can participate? The program is geared for teen girls ages 13 to 16, but you can enroll other ages. The content explores some heavy topics but is age-appropriate for teens ages 13+. If your child is participating in risky behaviors, this course will address some of those behaviors. Is this therapy? This course is intended to provide educational support and is not intended for therapy or treat any mental health issues. You are encouraged to gain approval from any mental health providers for clinical counseling. Is the course refundable? Due to the nature of the creative material being available online, all sales are final. What's the referral program? Refer a family to our program and upon their purchase of the program you will receive a $10 gift card for each confirmed enrollment. Tell your referral to program your name upon purchase to receive the credit. Danielle completed her Bachelor's Degree in Human Sciences with a concentration in Family Relations and Child Development from North Carolina Central University and her Master's Degree in Clinical Mental Health Counseling. She started her professional career as a Family and Consumer Sciences high school teacher. In this role, she realized her passion for empowering youth and young adults. While teaching, Danielle volunteered as a mentor for youth with Durham Companions. Through education and professional experiences, Danielle has built a strong skill-set making her a perfect guide for youth seeking to empower themselves and reach their potential greatness. She holds the unshakable belief that although people may have experienced difficulty in their past, it should NEVER define their future. Danielle’s mission is now to empower others to define their greatness and execute their goals. It's Your Time Lil Lady!